Zeller, Suzanne E.. "Sir William Edmond Logan". The Canadian Encyclopedia, 24 May 2018, Historica Canada. https://www.thecanadianencyclopedia.ca/en/article/sir-william-edmond-logan. Accessed 19 April 2019. From 1831 Logan managed the Forest Copper Works near Swansea, in South Wales. A systematic thinker by nature, and anxious to find a reliable source of coal, he mapped the nearby coal seams topographically and cross-sectionally. 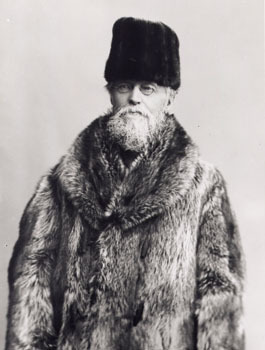 Logan was the first director of the Geological Survey (courtesy Library and Archives Canada/C-119978). Sir William Edmond Logan, geologist, first director of the GEOLOGICAL SURVEY OF CANADA (b at Montréal 20 Apr 1798; d at Castle Malgwyn, Cilgerran, S Wales 22 June 1875). Logan identified and mapped the major geological structures of the Province of Canada, in particular the Laurentian and Huronian series of the Precambrian SHIELD. He attended Alexander Skakel's school in Montréal and the Edinburgh High School, Scotland. In 1816 he took a year of medical studies at the U of Edinburgh before entering an uncle's business. From 1831 Logan managed the Forest Copper Works near Swansea, in South Wales. A systematic thinker by nature, and anxious to find a reliable source of coal, he mapped the nearby coal seams topographically and cross-sectionally. These highly accurate maps were adopted by the Geological Survey of Great Britain. In 1840 Logan read to the Geological Society of London his theory of the in situ formation of coal, which enabled geologists to determine the location of workable deposits of carboniferous strata. 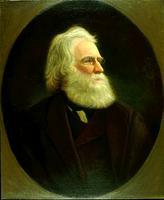 Logan's reputation as a geologist, his Canadian birth, and his social and family connections in Montréal secured him the position of geologist of the Province of Canada in April 1842. By 1844 Logan and one assistant, Alexander MURRAY, had divided the geological formations of the province into 3 main divisions; he concluded reluctantly that none could be expected to yield coal. But Logan justified continued public funding of the Survey in other ways. He founded a geological museum; mapped the often uncharted lands he surveyed; analysed the copper-bearing north shore of Lake Superior. As a result of his outstanding collection of Canadian minerals and his geological map of Canada, exhibited at London's Crystal Palace in 1851, Logan became the first native Canadian inducted into the Royal Society of London for achievements in Canada. Similarly, at the Paris Exposition in 1855, he was awarded the Cross of the Legion of Honour. A knighthood followed in 1856. While the Survey continued investigations in both laboratory and field, Logan in 1863 published Geology of Canada, followed in 1865 by an atlas and in 1869 by a larger geological map. This masterly analysis of Canada's geological structures and economic minerals earned Logan the Royal Society's Gold Medal in 1867. The enormous expansion of the Geological Survey after Confederation had been anticipated by Logan as a natural development. He retired to South Wales in 1869 and was succeeded by A.R.C. SELWYN. Undaunted by the "Herculean task," Logan had forged Canada's first public scientific endeavour from its initial precarious decades into a permanent institution. B.J. Harrington, Life of Sir William E. Logan (1883); Morris Zaslow, Reading the Rocks (1975). William LoganA profile of Canadian geological pioneer William Logan. From the Canadian Science and Engineering Hall of Fame.